Status: Eliminated by Christina Ricci in Round 1! 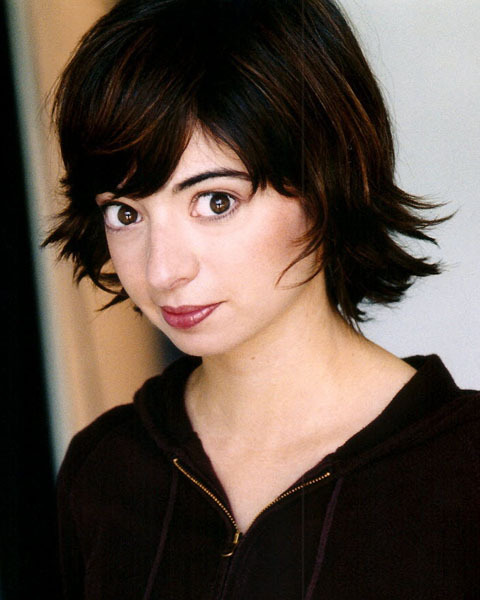 Kate Micucci is a singer/songwriter, musician, comedian, and actress who can currently be seen in The Big Bang Theory and Raising Hope. She also briefly had a reoccurring role in Scrubs. She acted on the big screen in When in Rome and can be seen in the upcoming Decoding Annie Parker. Kate plays the Uculele and performs her own comedic songs as a solo artists as well as with Riki Lindhome as a comedy duo in their band called Garfunkel & Oates. She originally wanted to be a toy maker and studied art and puppet making at Keystone College where she received her A.A. and Loyola Marymount University where she received her B.A. She currently lives in Los Angeles where she also has done a bit of sand castle architecture.